Before starting sheeting or panning installation, make sure you know where cold air duct is located. If in a house only one furnace is installed it’s more likely that a cold air duct will be set near the I-beam so the supply duct can be just next to it or it can be mounted on another side of I-beam. If there is a second furnace it should be set near the first one, and its ductwork will be more likely run in parallel to ductwork of the first furnace (see P. 129). 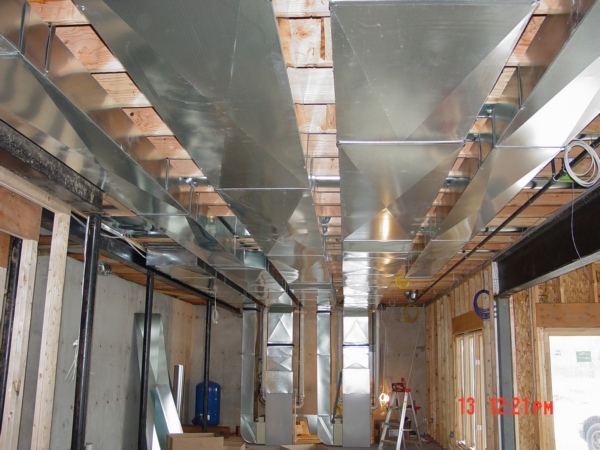 All distributing systems of ductwork in basements basically are similar, but at the same time can have their own set of various elements characteristics to each one particular basement. Therefore, I will start to consider one of the real systems and add some elements to it, which are necessary for training purposes. As everybody knows the cold air sinks down, but the warm air rises up. For example in the summertime, when warm air fills your house you have to run it through A/C coil to cool it down. 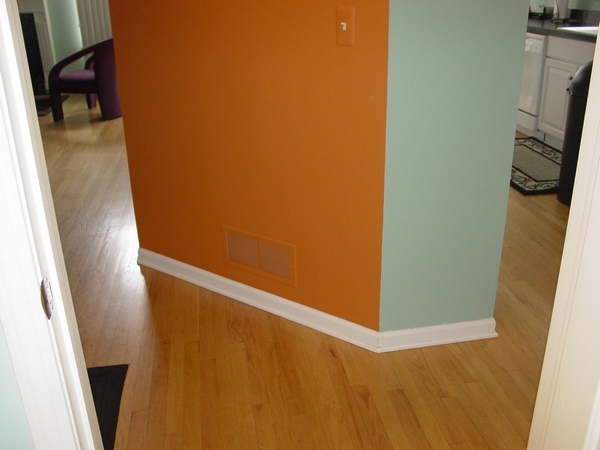 As your A/C unit picks up warm air from the ceiling, it will be replaced by cool air coming from the supply vents. This set up also helps you to save some energy because A/C unit is working more efficiently! (Watch the video below). 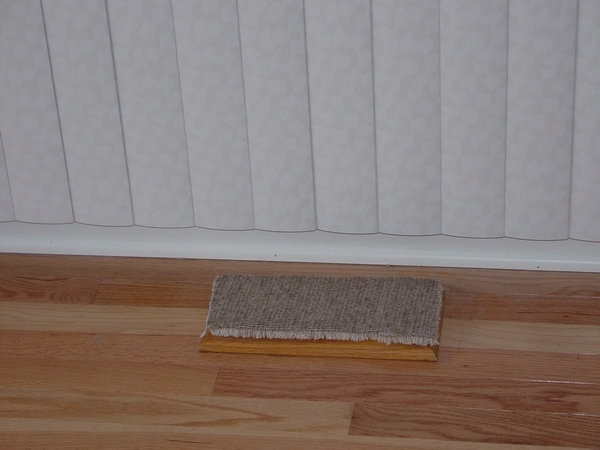 In the wintertime as you probably also know cold air is concentrating near the floor and over the time it fills house up to the thermostat’s level. So if you have .... However, what is most important to understand that it’s going to add more comfort to your house and also save some money because it is reducing the furnace’s (heat pump) working cycle! In the third picture, you can see my master bedroom’s wall where I also have ..... This actually not only saves me some energy but make this room very comfortable, because once furnace or A/C start working I feel the difference right away! As you can see in my house I have three..... (one more in the basement) and along with the others energy saving tips it gives me 20% saving on my utility bill. In your house you can make more .....! If you decide to use this energy saving tip in your house you may have difficulties with the cold air return grill installation it’s why I'll give you some explanations to this topic in the chapter below. This chapter from my Ductwork Installation Guide Energy Saving Edition book designed to help a homeowner to save some money on their energy bills. In the wintertime, you will save on natural gas and electricity and in the summertime, you will save on the electrical bill! Here is nothing new in the notion of closing return and supply registers, only reason why I am selling it on my website is because nobody would tell you how exactly to do it and not to roast you HVAC system, but I found a different approach on how to do it and I want to share it with you! However, this chapter will explain all the above for the house with HVAC system in the basement, if your HVAC system is in the attic you also may use it, but I do not have pictures to support my step-by-step explanations! If any of my customers will supply me with some pictures I'll refund his/her money! The chapter has 23 high quality pictures on 12 pages. You can buy this chapter for the very low price of only $3.00! In order to pay please use a Buy Now button below. If after my explanations you will purchase the chapters on this page above ($3.00) where you can find HOW it should be done, I’ll refund your $1.34.